Tour our stone yard and Meet Dave Zwack. 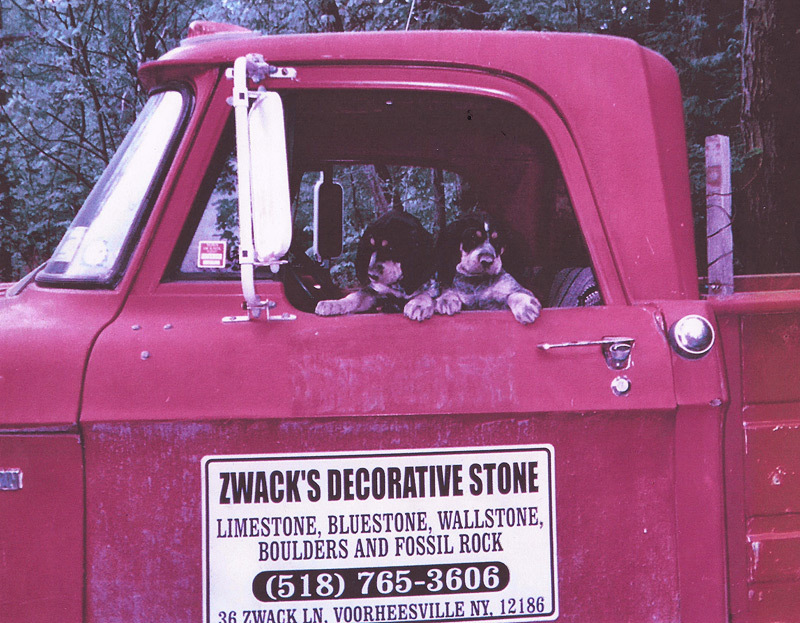 Zwack's Decorative Stone offers a wide variety of natural stone products for all of your Landscaping & Building needs! See our beautiful natural stone in use. Zwack's Decorative Stone provides Natural Stone Products for Landscaping and Building. Our Limestone is removed from our site in a careful manner as to keep machine marks to a minimum if at all. Learn more about our products. For over 30 years, we have been providing unique, quality, natural stone to landscapers, builders, and homeowners looking to incorporate the natural beauty of stone to all of their outdoors projects. Both professionals, and homeowners utilize natural stones for: Patios, Sidewalks, Fireplaces, Outdoor Kitchens, Stone Walls, Retaining Walls, Pool Decks, Ponds, Outdoor Furniture, and much more! Our customers come from all areas: Albany, Saratoga, Catskills, Western Massachusetts and beyond! Located 2 miles from Thatcher's Park.